Hot Cross Bun Ceremony, Bromley-by-Bow. Photo © Steve Hollingshead. No two days in London are alike — that's why Steve Hollingshead has photographed an epic 1001 of them. 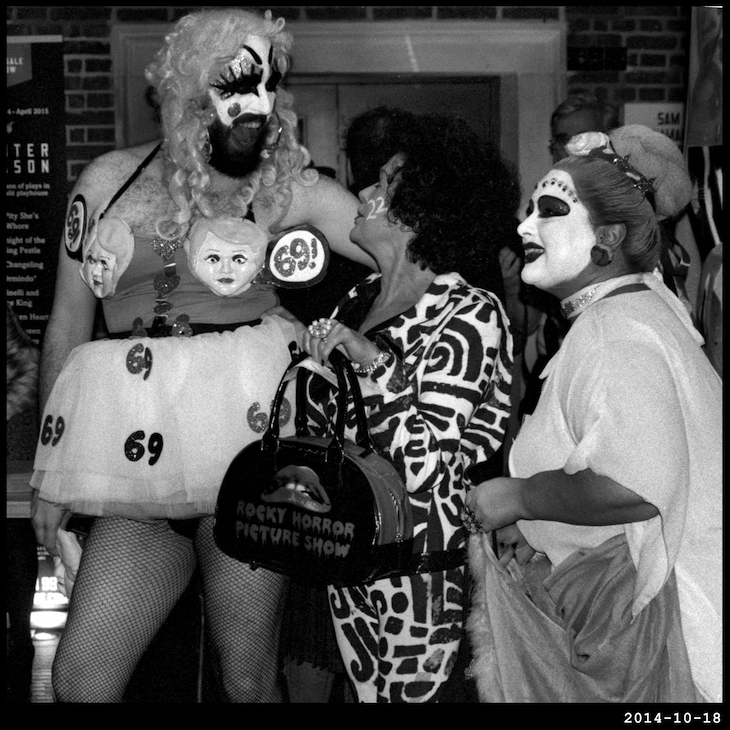 He's been snapping since the new millennium, documenting the city's many shapes and forms. 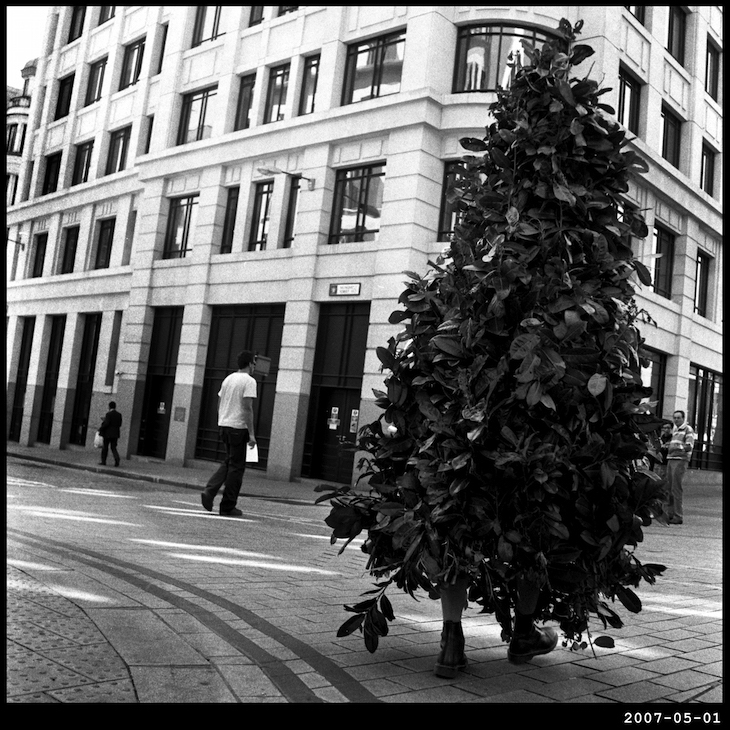 Now the results of 15 years of wandering the streets go on display in their entirety at the Oxo Tower Gallery. 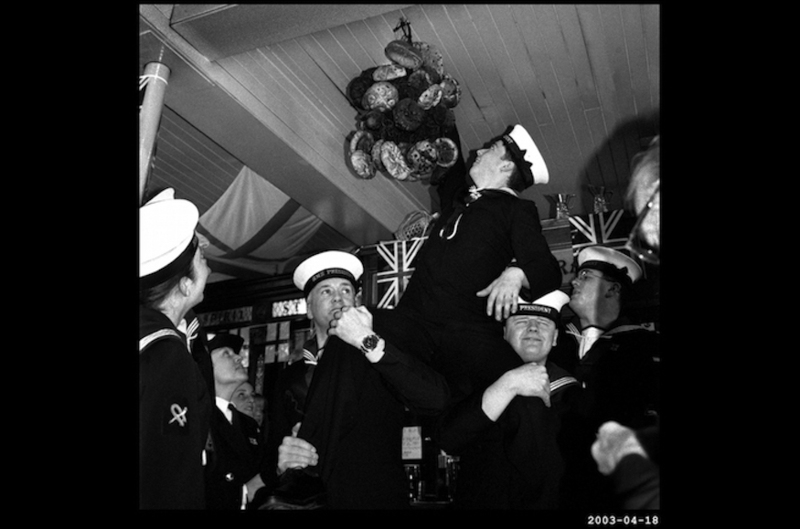 Each black and white image at 1001 Days in London represents a different moment in London's varied life, from sumo runs to hot cross buns. The images are on show in random order, so expect a dose of heritage and history here, a dash of elegance and eccentricity there. Pop in to the new exhibition until 10 April — it's free to visit. If you're thirsting for more, Hollingshead uploads a daily picture to his 1001 Days in London blog where you can find the stories behind the photos. We feel our history vividly in London. 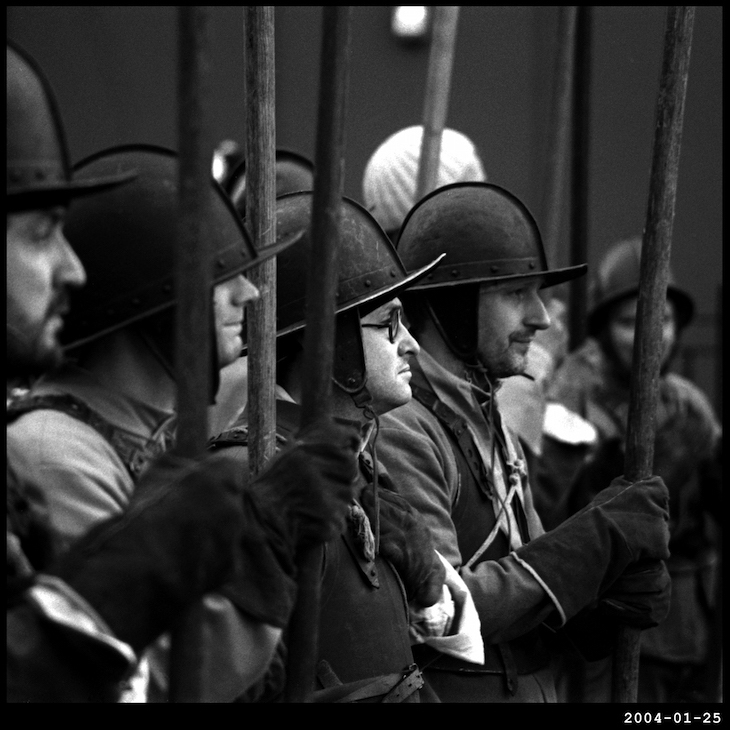 Charles I Commemoration Ceremony, Whitehall © Steve Hollingshead. Local London's weekend ritual. 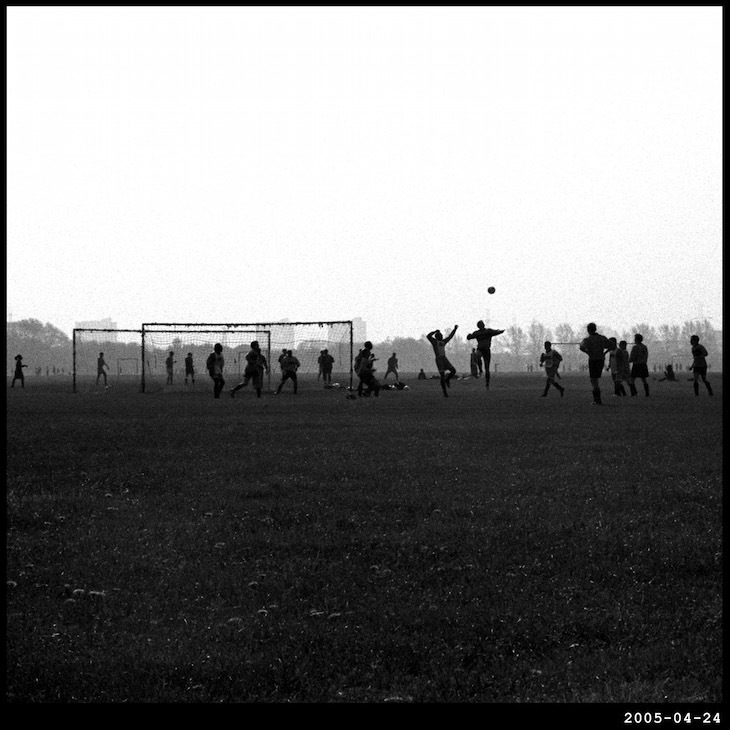 Sunday morning football, Hackney Marshes © Steve Hollingshead. Typical recess activities. 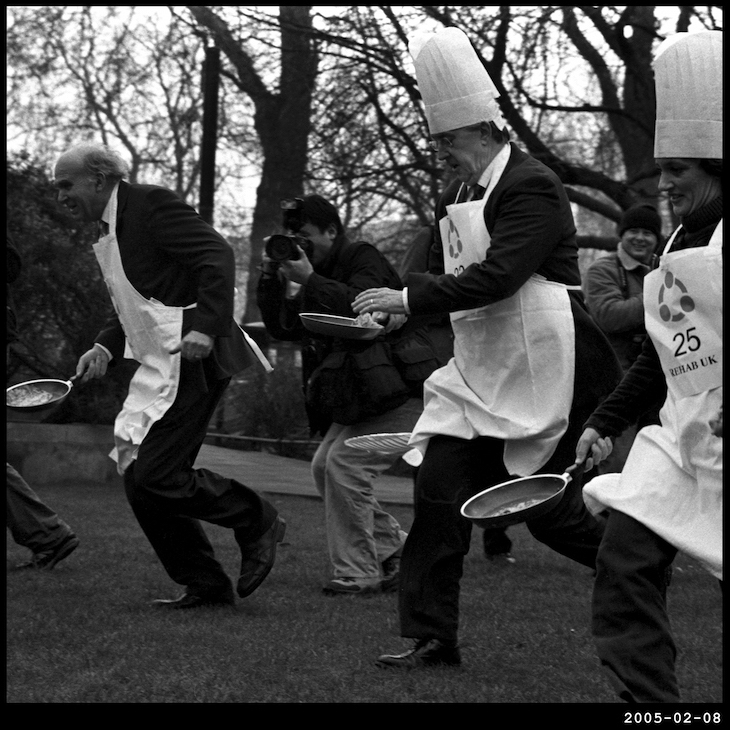 Parliamentary Pancake Race, Westminster © Steve Hollingshead. In London, no-one bats an eyelid at a walking Christmas tree. City 'Jack in the Green', Monument © Steve Hollingshead. No, this isn't Notting Hill Carnival. 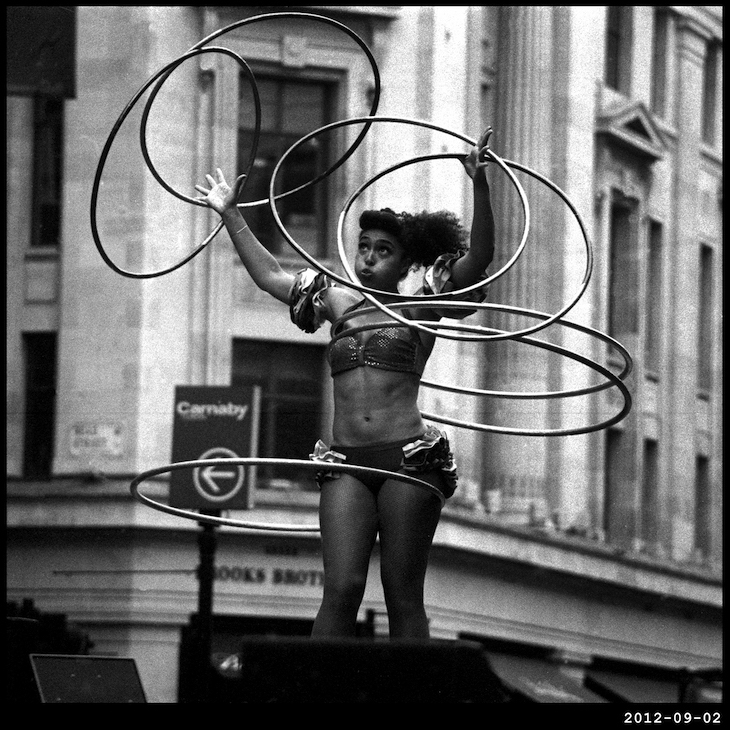 Piccadilly Circus Circus, Regent Street © Steve Hollingshead. Sri Lankan Chariot Festival, West Ealing © Steve Hollingshead. Andrew Logan's 'Alternative Miss World' Globe © Steve Hollingshead. We do love a good fun run. 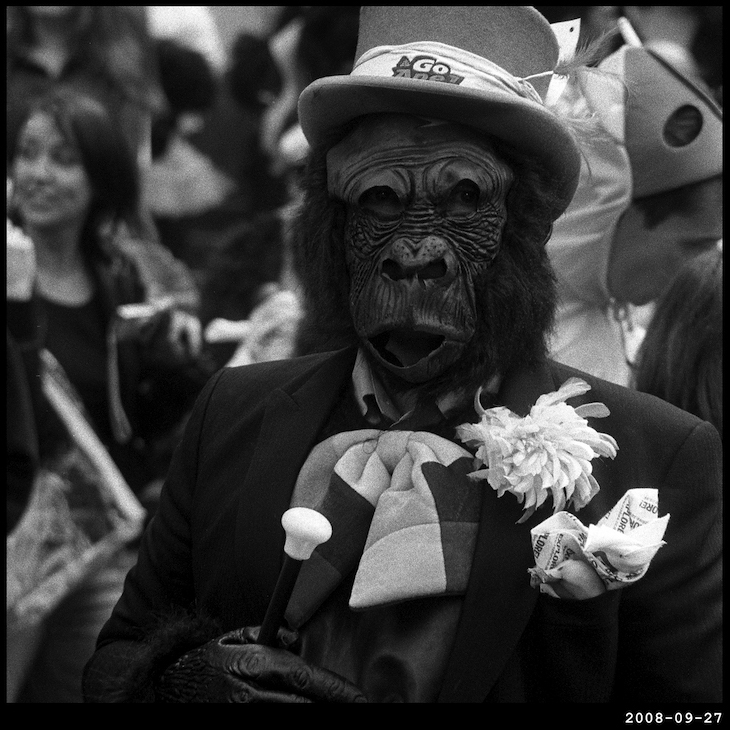 Great Gorilla Run, City of London © Steve Hollingshead. Love them. 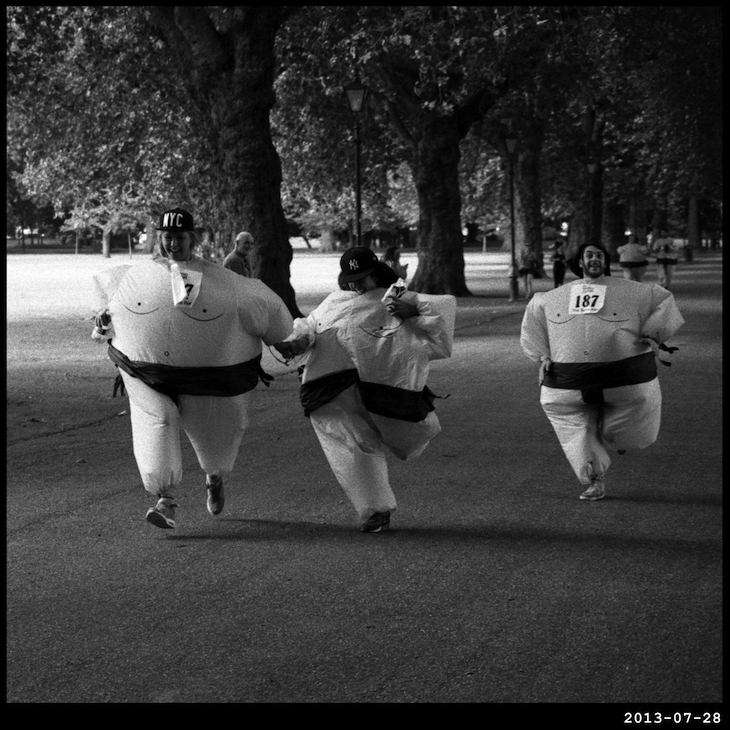 Sumo Run, Battersea Park © Steve Hollingshead. 1001 Londoners is at gallery@oxo, Bargehouse Street, South Bank, SE1 9PH, until 10 April. It's open daily 11am-6pm with free admission.